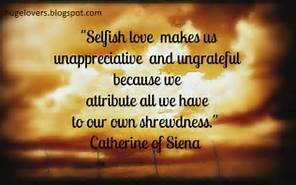 True Love, Selfish Love; What is the Difference? Wiser words were never spoken. All love is not created equal and identifying the difference between true selfless love and selfish love is not always easy to determine at first blush. Author Anthony BoquetPosted on March 21, 2018 Categories MentoringTags love, relationships, wise-decision makingLeave a comment on True Love, Selfish Love; What is the Difference? Panning for gold was a difficult and time consuming way to earn a living. During America’s Gold Rush heyday people were drawn to panning as an occupation. The job either paid extremely well if you were part of the few or it was an economical disaster for the vast majority of the others. 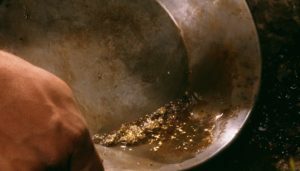 The difference in the payout was completely dependent on only three things; the amount of effort one applied in the search, the amount of sediment that one filtered and the ability of the person to identify three key identifiers; what does gold look like, where does it hide and how does it react when found. Gold is an element that exists alongside every other mineral, rock or metal found in the earth so why did people choose gold as the popular choice for currency? Gold’s color is very appealing and attracts attention. It is strong, durable and doesn’t corrode when it comes into contact with other element. Finally, it is rare enough to generate an intrinsic value but available enough to supply the needs of the many. As a student of the truth and a Financial Planner by trade, I found these similarities remarkable when comparing gold to the truth. In the search for truth the “miner” is called a Solutionary. 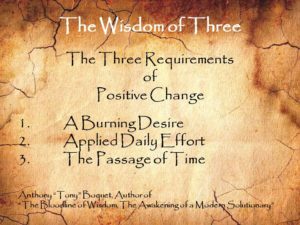 The truth can be equally as hard to find for the same reasons as gold, it takes the same three things to successfully discover both and the Solutionary has to be aware of the three identifiers. They must know what the truth looks like, where can it be found and how does it react differently than the other information that they are sifting through. Like gold the truth resides alongside an abundant amount of minutia in the form of believable lies, desirable falsehoods and the chunks of the partial facts. These other “elements” will not corrode or tarnish the truth. These non-truths are spread out of a vast area of knowledge so to save times, the sincere seeker must find the trusted spots to begin mining. Then one has to take the time needed to sift through this pile of weaker debris in order to expose the valuable gold of truth. Only then can a Solutionary with the appropriate education, experience and moral/ethical fortitude learn, profess and live the treasure that we call the truth; solving the problems for others. On the surface, the truth can be hard to spot but if one know where and what to look for, it is fairly easy to find. The truth will always be based on Natural Law so any contradiction to the laws is the first sign of fool’s gold. The truth will also be the right and best choice for all who it impacts. If any of the three parties of the solution is not positively affected by it’s long term outcomes it is likely a pebble to be discorded. Finally, truth always reacts differently from false information. Just like gold is easy to separate from the lighter sediment, so too the truth does not wash away with the passage of time. What was true once is always true. 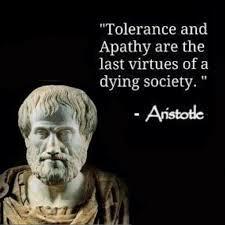 I think Aristotle and I would have been great friends because we both agree that it is nature that rules the truth and the truth can be found in all things naturally. It is when society tolerates the opposite that problems cannot be solved. Humans are the only creature with the mental capacity to make decisions that contradict that which is natural and when they do they are stupid enough to believe it is the true and right way of doing things. History is so important to the human race because it provides us with the experience component of wisdom. It is wisdom that solves our troubles and without history we have no chance of overcoming our future dilemmas before they cause harm. It is through the lessons of history that we come to understand; how the eternal laws can solve these quandaries, create tools that leverage the power of the laws and master the application of the laws through the tools that we create so as to benefit all mankind. For instance, the first clamps are said to have been developed by the Egyptian around 600 BC. They were made by wedging two boards between large rocks. The wedging force tightly pressed the two boards together so the glue could set, binding the boards as one. This created stronger boards and for ship building, made a leak proof seal between boards. Much has changed since 600 BC but the uses of modern clamps still solve the exact same problems they were originally intended to solve using the same laws of nature. The Egyptians understood the Law of the Lever; force leveraged by a fulcrum will increase power, creating extra strength. Goldilocks; Innocent Child, Juvenile Delinquent or Ethically Challenged Individual? Which child living among us, regardless of their age, has not read the story “Goldilocks and the Three Bears”? This story was first recorded in narrative form by British writer and poet Robert Southey, and was first published anonymously as “The Story of the Three Bears” in 1837. It was a time when society still valued right over wrong. Parents looked for every opportunity to teach their children that poor moral character always came at a price. Are these still important values in 2017? Author Anthony BoquetPosted on July 25, 2017 July 25, 2017 Categories Inspirational, MentoringTags ethics, selfishness, wise-decision makingLeave a comment on Goldilocks; Innocent Child, Juvenile Delinquent or Ethically Challenged Individual? Unless you live as a hermit, you have heard about what is viewed as the less than wise decisions, which were made by a gate manager and the cockpit crew of an United Airlines flight and possibly the airport police personnel called to a scene which resulted in a fare paying passenger being physically ejected from one of their airplanes due to an oversold situation. This kind of event strictly exemplifies the importance of placing an equal value on making ethical decisions as well as legal ones. United and every other airline are legally able to overbook their flights, select passengers who will forfeit their seat when none volunteer, and are contractually within their rights to have passengers evicted from their aircraft by force under certain situation when deemed necessary. Everything that happened that day seems to have been legal but almost everyone agrees that it was not right. Have you ever seen the statistics on New Year’s Resolutions? Below is listed the top ten resolutions for the year 2015 as assessed from a University of Scranton study. They then grouped those ten into four types of resolutions, Self improvement or education related, weight related, money related, and relationship related. It is said, “We are creatures of habit” and rightly so for mankind is merely a more intelligent creature but a creature none the less. As one of nature’s creatures we respond to threats, fears, and problems in much the same way as all creatures with one exception…we have the mental capacity to learn from, adapt to, and develop techniques used in solving problems.